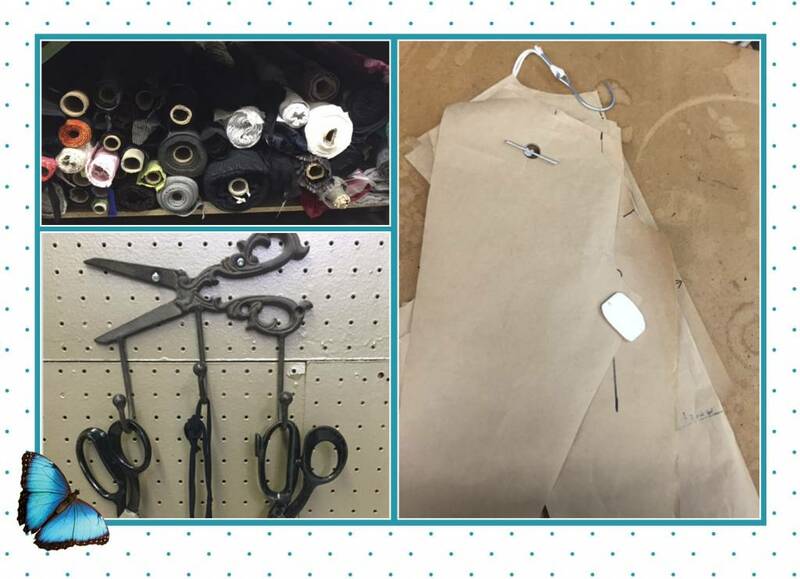 As small business owners, we get a lot of questions about where and how we create all of our pieces, so we thought we'd take you for a behind the seams look at our design studio. Located in the back of our James St shop, our studio is where we sketch the designs, make patterns and samples, and create each line. Having this space located within the store allows us to continue to create in our downtime while maintaining a creative environment with our supplies close at hand. When you take a look at some of the tools we use to create our pieces, they are art in themselves and we are continually inspired by our customers and the supplies that surround us every day. If ever you visit the shop and don't see Lousje or Bean about, you can most likely find them sitting at a sewing machine, trying on samples for fit and creating all of the clothes you have come to love. Making our own pieces allows us to control quality and also fit as we continually try them on real women as they are being created to check for movement, flow and overall look on the body. Taking our handpicked fabrics and transforming them into the pieces you see is a true labour of love. Some pieces make the cut, while some that we really love don't make it to the sales floor if they aren't the right fit for our customer. We strive to make unique, timeless clothes for real women so if you don't see us out on the floor, know we are in our own little piece of heaven doing our best to create the next piece of clothing to bring out your best.